Are you ready for a new SUV that provides excellent performance both on and off the road? Then you need to check out our new Jeeps for sale. Whether you prefer the rugged Jeep Wrangler, the popular Jeep Grand Cherokee, or the affordable Jeep Compass, you’ll find it all in our inventory at Badger Truck & Auto Group. 2018 Jeep Compass Sport FWD, 2.4L 4Cyl, 6-Speed Aisin, White Clear Coat, Cloth Bucket Seats, Bluetooth, USB/AUX, Remote Keyless Entry, Pushbutton Start, Speed Control, Back up Camera, Rear Window Wiper. 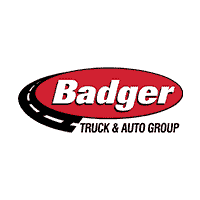 At Badger Chrysler Dodge Jeep Ram, we have extensive vehicle knowledge and can help you find the right car at the right price. No pressure, no hassling. If you don’t see what you’re looking for on our site, we’re happy to search at auction for you – just give us a call to get started. Why Buy a New Jeep in Milwaukee? Some SUVs offer the Jeep® 4×4 system for better control and handling on rougher terrain. It features off-road differentials, skid plates, rock rails, body-on-frame design, and more. Some Jeeps also display the Trail Rated® badge. Each of these Jeeps passed five challenging tests: traction, water fording, articulation, ground clearance, and maneuverability. Not only are Jeeps perfect for adventure, but they’re also affordable. To learn more about these new Jeeps for sale at Badger Truck & Auto Group, explore our online inventory, then contact us.